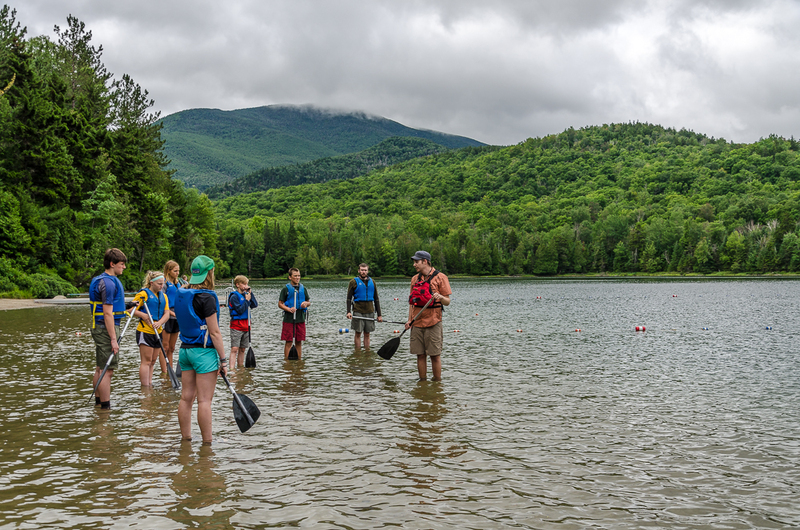 Discovering the Ausable: An Aquatic Stewardship Program is a partnership program between AsRA and Adirondack Mountain Club that teaches teens outdoor recreational skills, provides them hands on experiences with scientific methods, and inspires an ethic of enviromental stewardship. This is a high impact program that exposes youth to the aquatic sciences and watershed stewardship in an immersive learning environment. Explore the photo essay below to learn more about this successful AsRA program. The first day of the program the participants learned about paddling skills on Heart Lake. 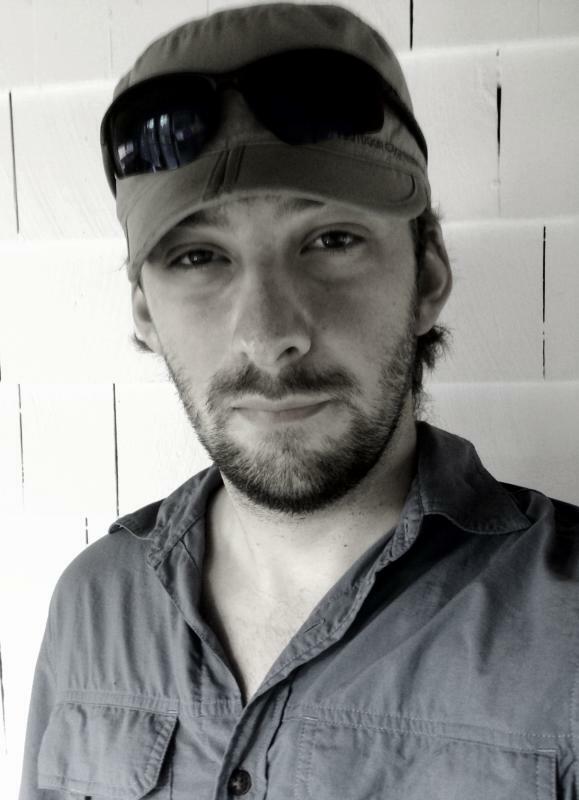 ADK's Education Programs Coordinator, Seth Jones, taught everyone how to do forward, backward, sweep, and draw strokes. Paddling skills were put to the test during several rounds of Dead Fish Polo, where each canoe tries to maneuver to sponges in the lake and fling them into another boat. In the afternoon we went over what to do if a boat flips in the middle of the lake. Safety is the number one priority and everyone had a chance to paddle their canoe while Seth and Brendan, AsRA's Science and Stewardship Director, hung on to the front and back of their boats. After a demo of how to do a t-rescue on shore, everyone went to the middle of the lake and took turns flipping and recovering their canoe. After a full day on the water, the group headed up Mount Jo to learn how to read a topographic map and draw a watershed boundary. Day two was all about science. The group started off the morning on the shores of Heart Lake brainstorming threats to our local waterbodies and then learning about stratification, turnover, and the aquatic food web. Once everyone understood the threats to our water, we learned about the different tests and data we could collect to assess those threats. We took vertical profiles of temperature, dissolved oxygen, specific conductance, and pH, as well as a surface and deep water sample that we analyzed for nitrate, phosphorus, alkalinity, and chloride. The students also learned about secchi depth and how to take a reading using a secchi disk. After collecting data on Heart Lake we loaded up our boats and equipment and headed off to Mirror Lake. Before heading out on Mirror Lake we visited one of the Adirondack Watershed Institute's Watershed Stewards to learn about aquatic invasive species. After a full day on the water collecting data we headed back to the Adirondack Mountain Club's Wilderness Campground to cook dinner. Under fading light we graphed our data collected for the day and discussed the difference between the two lakes and how we can address the threats facing Mirror Lake. After a full day of learning about water chemistry we transitioned to learning about the organisms that live in our rivers and streams and how we can use them to assess the health of aquatic ecosystems. As a group we sampled and identified the benthic macroinvertebrates found in Marcy Brook. Using this information, we ran our data through a number of indices to assess the quality of the water. In the afternoon we had planned on paddling Lake Everest and visiting the Adirondack Wildlife Refuge. At the beginning of the week, however, we had learned to plan ahead and prepare for a trip by looking at the weather forecast. In this case, high winds and a threat of thunderstorms resulted in the group deciding that paddling wasn't the best idea. Luckily, we could drive to the Wildlife Refuge so we were still able to learn about the local birds and mammals that call the Ausable River watershed home. It's one thing to learn about the threats to the health of our waters, but another to figure out how to do something about it. This day was all about making a positive impact on the Ausable River. Unfortunately, the lower portion of the Ausable River, as it passes through the Ausable Marsh, has a lot of trash in and along the banks of the river. 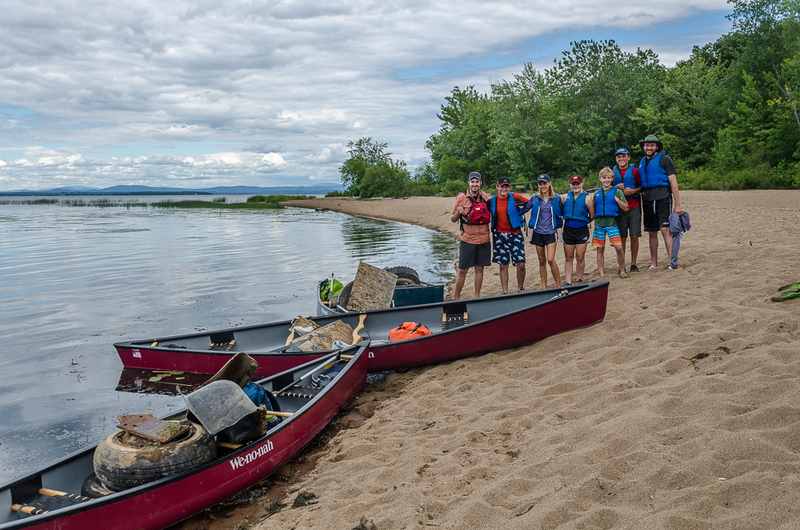 As a group we paddled a loop through the marsh collecting trash along the way. We gathered up several hundred pounds of trash, including several of the many tires found in this stretch of the river. As a group we were proud of what we were able to haul out of the river but also saddened by the amount of trash we saw and couldn't pick up. On our last day together each participant developed a rough outline of an action plan for how they were going to apply what they learned to their local community. The participants planned to get their schools more involved with water quality monitoring, educate their local lake association and government about invasive species, educate watershed residents about issues facing their waterbodies and how to be better stewards, and organize trash cleanups through their school. By the end of the week everyone in the group could perfectly execute a draw stroke with an in-water return to raft their boats together, rescue a flipped boat, read a topographic map and draw a watershed boundary. Everyone could define a variety of limnological terms, collect and analyze water samples, identify invasive species, and were prepared to take action to become better stewards of their local watersheds. 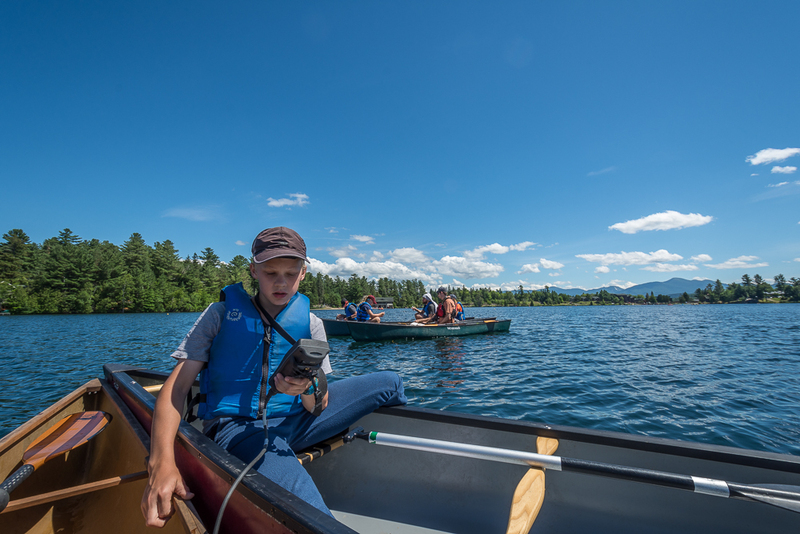 Hands on education makes a big impact in individual lives and in communities, is rewarding for teachers and students alike, and helps AsRA and ADK protect our watershed and those beyond. This program was funded by the New York State Department of State under Title 11 of the Environmental Protection Fund.